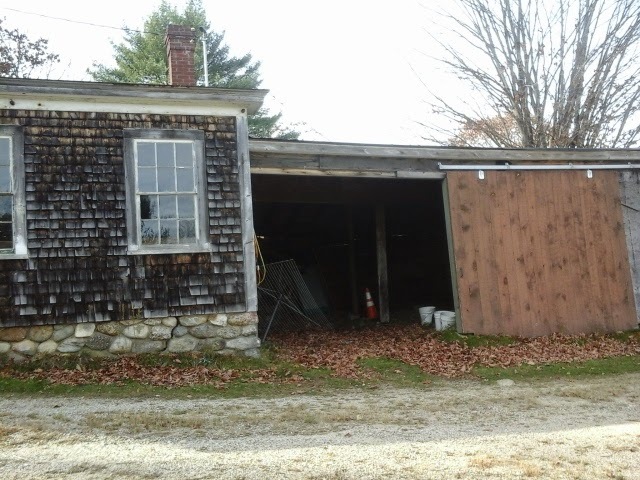 When we bought this property, we hoped we could just repair and remodel the shed behind the garage into a small barn with a couple of stalls, and a storage area. Its just a simple shed, a little run down, nothing fancy. Unfortunately, there are some significant foundation problems and the shed will have to come down. We are in the early stages of designing what to build in its place. 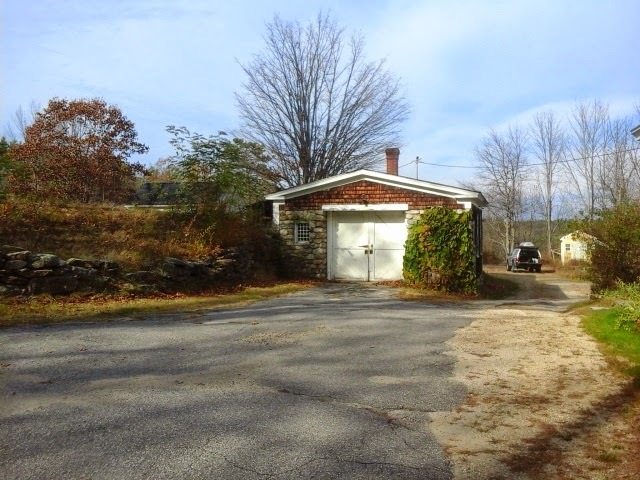 The big question is whether we can save the garage. 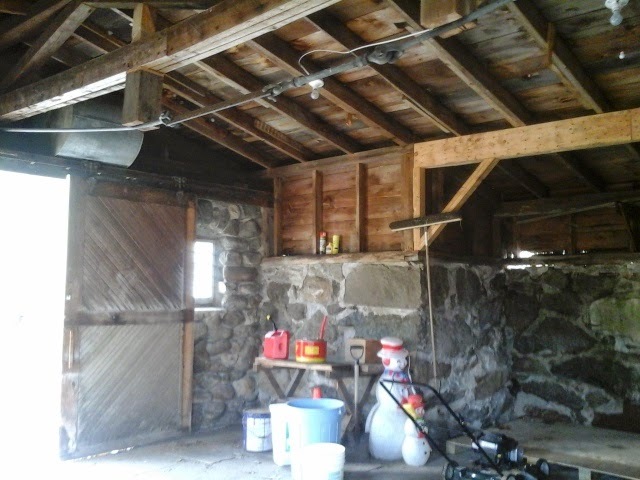 It doesnt really function as a garage, but its a cool, antique building with charm and it would be nice to keep it. Check out the metal brace along the rafters. 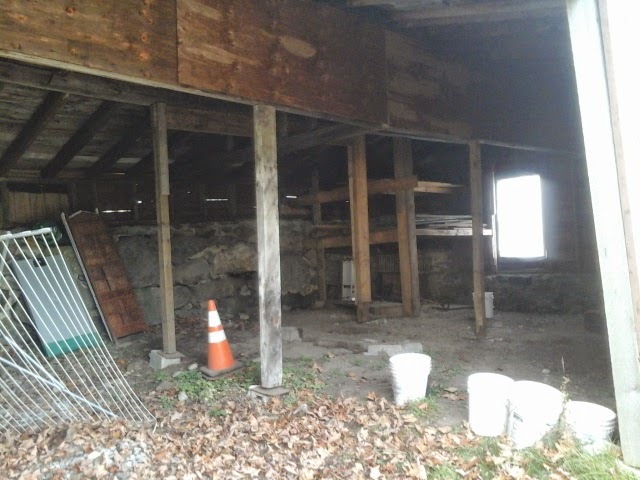 It is adjustable, with a sort of rachet mechanism, and we were told its an old barn technology. Nice stonework, too. Anyway, we needed to do a temporary fix on the shed, so that the weight of winter snow doesnt collapse it. There should be a post to the right of the obvious post in the center of the photo. It is actually the center support post. I dont know why it was ever removed. The building was beginning to sag, so we needed to put a post in place. That was done today, though I failed to get a photo of it. 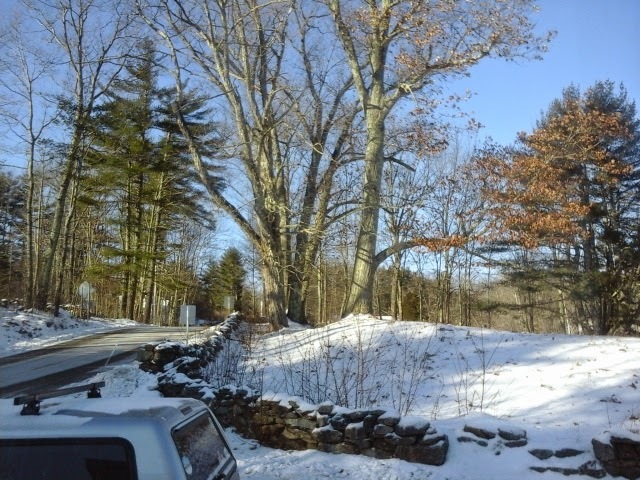 By the way, the answer to the maple syrup question: how many gallons of sap does it take for one gallon of syrup? Weather today. 0 degrees this morning, cloudy. High of 22. Run: on Sundays, we run to and from church... 3 miles each way. The trick is to run slow enough on the way there to not get sweaty, because otherwise we get cold sitting in the service.